You can imagine my excitement when Top Chef came to Brooklyn. Well, the show didn’t come to Brooklyn, but Dale Talde from season 4 did. And with him and his two partners John Bush and David Massoni, Talde was born. Talde “showcasing Asian-American fare reflective of the distinct cultural and culinary experiences of Executive Chef/Partner Dale Talde”. I learned about Talde a weeks after its opening in January 2012. It would then take almost a year to actually visit the place. Why? I have no good excuse, I just, well, get distracted sometimes. We dined at Talde for New Year’s Eve. Even before walking into the restaurant, Talde earned big points. 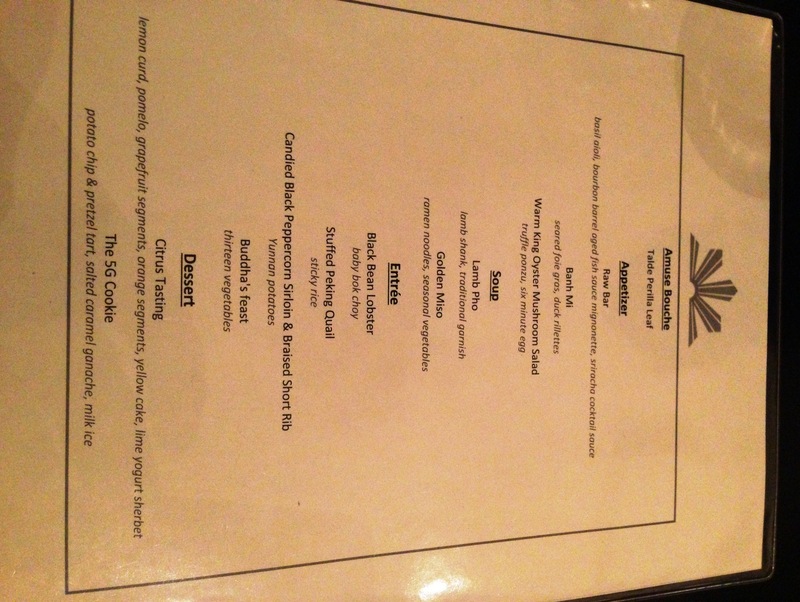 It had a reasonably priced prix fixe menu (RARE for Brooklyn or for that matter anywhere on New Year’s Eve). The setting was relaxed. We were moderately dressed for the holiday, but the dark wood booths and warm lighting made it obvious, this was a place you’d be welcomed at, smart or casual. We were seated in the back, next to the open kitchen. One of my favorite things about a restaurant is actually seeing where the food comes from. And this kitchen was active. Orders were being called out, chefs spoke to one and other. You could tell that they were struggling to fill the orders. With less than a year under their belts, New Year’s Eve might have been Talde’s biggest night so far. 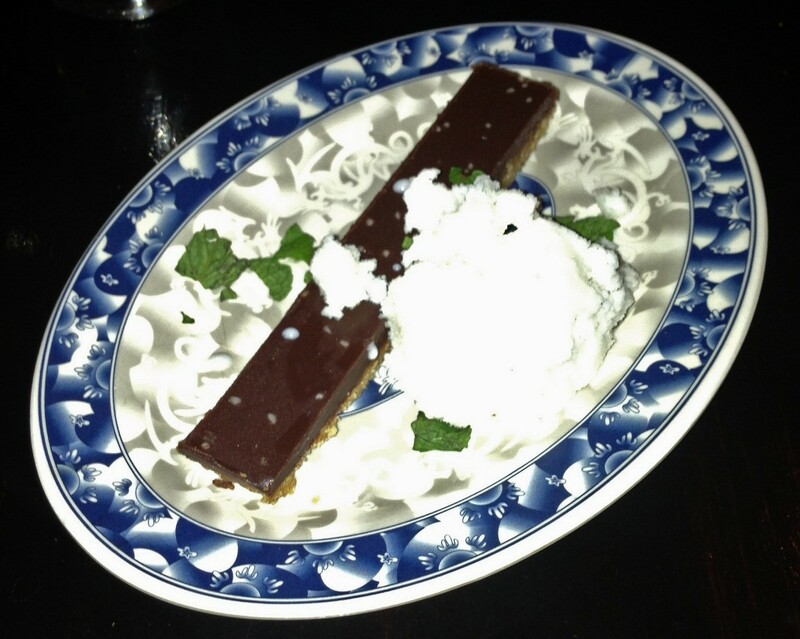 But from the service and perfectly timed plates, you’d never know there was any chaos in the kitchen. The food was amazing. There were two or three items to choose from under each course, so my husband and I made sure to order different things so we could try more. 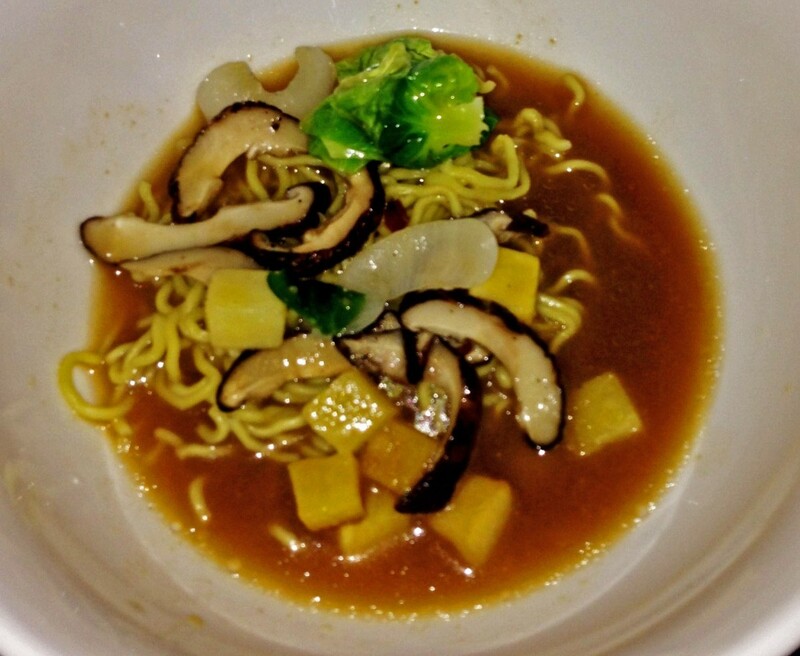 I was wowed by Talde already, but the dish that made me fall in love was a simple Golden Miso soup with ramen noodles and seasonal vegetables. I should clarify that my only experience with ramen noodles is the 4 for a $1 just add water variety from the supermarket. I wasn’t excited to welcome ramen noodles into my life, but my husband had already decided on the Lamb Pho, so I felt obligated to order the miso. A few bowls of the broth alone and I would have gone home a happy customer. I couldn’t stop slurping it up! And if this is what real ramen noodles taste like? Sign me up. They were cooked perfectly and balanced the other veggies in the dish. It has become my mission this year to make a broth (forget a whole soup) that deep and flavorful. 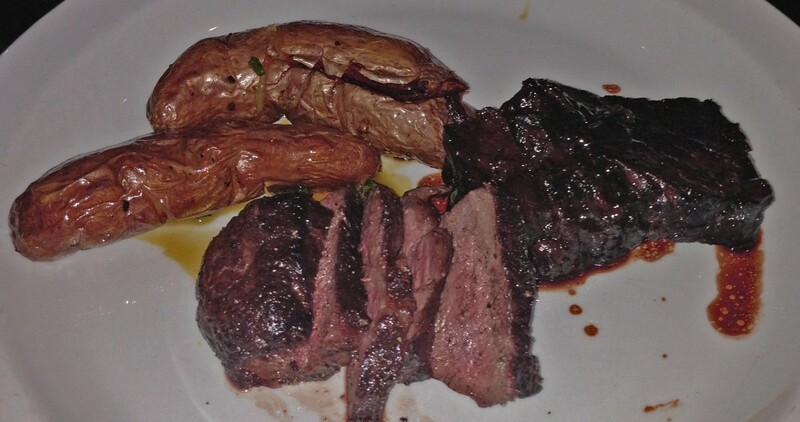 For my main course, I dined on Candied Black Peppercorn Sirloin and Braised Short Rib. I can’t say sirloin is a cut I jump for at restaurants, but this one was melt in your mouth delicious. And the short rib was amazing (yes, even more amazing than Dan Barber’s short ribs). It had a sweet and sour taste, something you would expect in an Asian restaurant, but as a short rib it was elevated beyond belief. I think what I liked most about Talde was the playfulness of its menu.Traditional Asian dishes were reinvented but with a twist. And the menu was fun. I can’t wait to go back and try their regular menu highlights like Pretzel Pork & Chive Dumplings, Kung Pao Chicken Rings and Hawaii Bread Buns. My meal finished up with a 5G cookie–a dense bar composed of pretzels, potato chips and salted caramel ganache served alongside milk ice. I’m not sure what Asian influences this dish contains, but it was the sweet and salty ending I needed to a perfect adventure meal. If you want to try some really good ramen while you’re in NJ sometime, you should check out Mysuwa Marketplace in Edgewater. Ever since being there one and only time, I keep dreaming about going back there again. I don’t know why we haven’t yet. In addition to having great, authentic asian food, there’s a large asian market attached to it.